I've made up a replacement motor/servo mount that will allow gearing down to a 10T pinion. 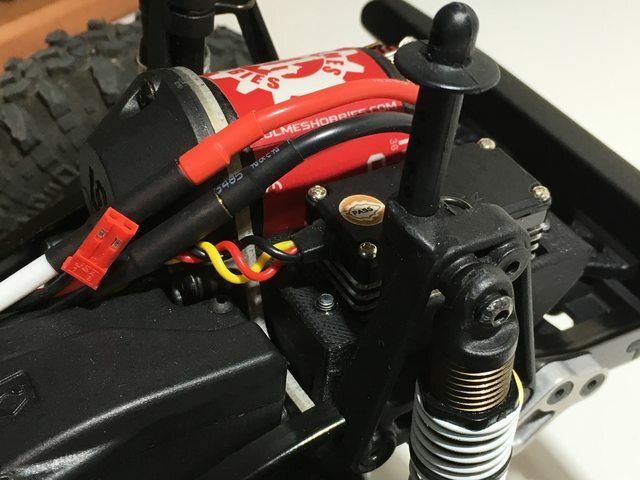 modifications to the motor plate are required. 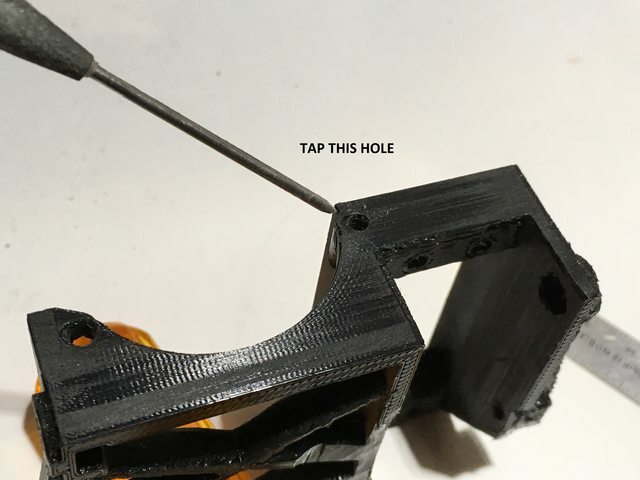 There are some things to keep in mind with this print, there's one hole needing tapping as I simply cant add any more material to get clearance for the max gear down (which is the whole goal of this). This hole may split open even if its tapped but it can be glued up with CA, install an M3 in this hole when doing this. 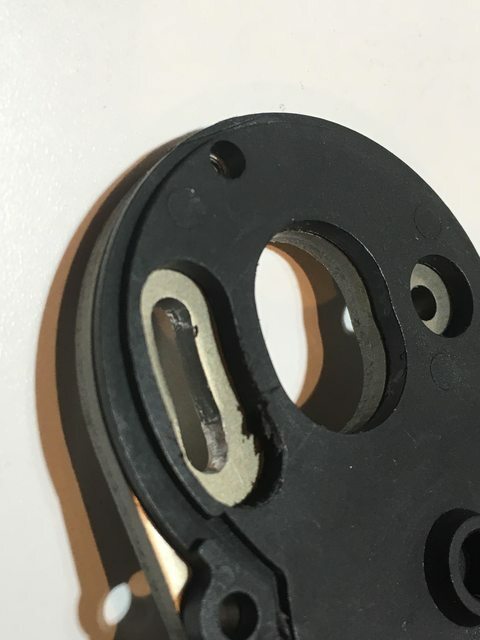 Even after splitting this hole I didn't have any issues stripping it but be careful not to overtighten. 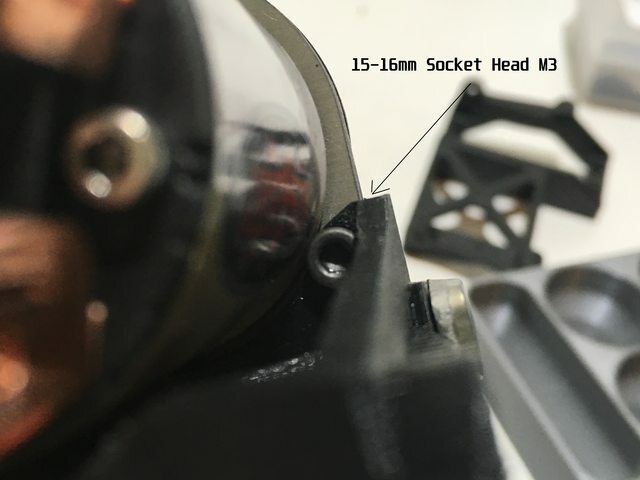 the stock button head screw needs to be replace with a 15-16mm socket head M3 for clearance. 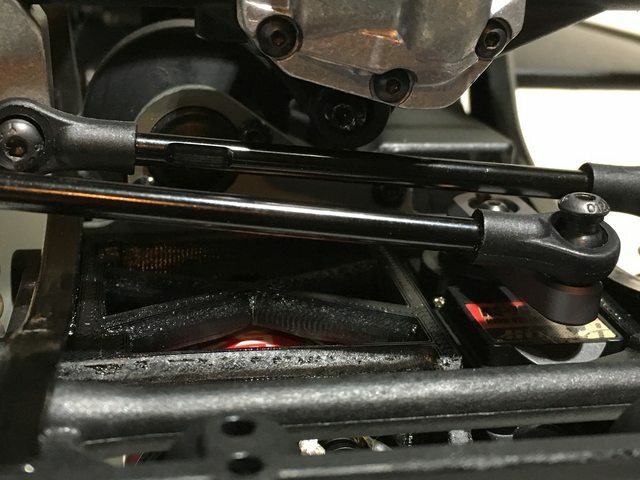 You will need to install the servo and spacers before you connect it the the transmission. I also include some 5mm servo spacers in the download that correct the steering geometry and align the steering and panhard links. If you use these you'll need four 15 or 16mm tapered head m3's. 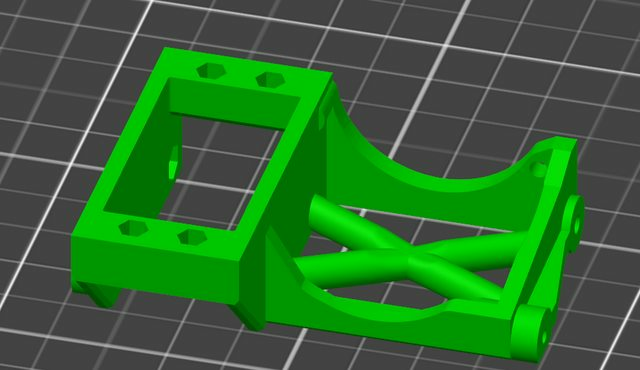 The servo mount also requires four M3 locknuts. Last edited by HumboldtEF; 04-16-2019 at 11:19 PM.